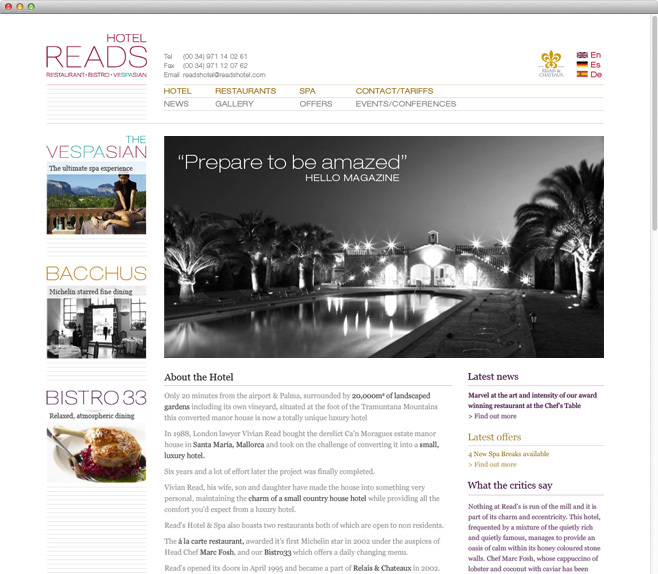 Reads Hotel needed a bespoke and fully customisable online marketing solution for their luxury Mallorcan hotel. 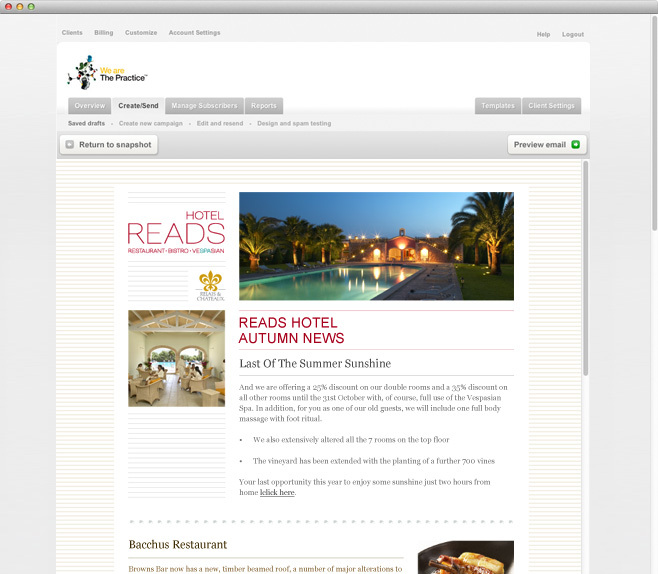 Our CMS website, built in three languages, affords complete control over their customer interface and communications . Added to this, our CMS-driven email system provides complete user contol over email marketing, raising brand awareness and significantly increasing booking enquiries.